That old story about the phoenix rising from the ashes? It’s happening in Central Lake. Armor Express, the body armor company created by the former leaders and employees of the original Second Chance Body Armor Inc., is moving into the place where, you might say, it was born: the now-vacant Second Chance manufacturing facility in Central Lake. “The purchase agreement is in place, and we close March 7,” says Ed Kiessel, Chief Operating Officer of Armor Express. The body armor company, which was relocated to Central Lake shortly after its founding, grew to become the world leader in body armor, a multi-million dollar body armor company with more than 500 employees around the globe and 250 in its Central Lake headquarters. Then disaster struck: In 2003, a Pennsylvania police officer was wounded after a bullet penetrated his vest. The vest was constructed by Second Chance, using a ballistic fiber called Zylon that is lighter and more flexible than Kevlar, and manufactured by a Japanese company, Toyobo. Though Toyobo initially stood by the strength and durability of its fiber. The Second Chance body armor company stopped selling Zylon vests and replaced them with Kevlar vests at hundreds of police departments nationwide. Still, lawsuits encroached on the Central Lake company. In August of 2005, after conducting independent tests of Zylon, the National Institute of Justice (NIJ) announced that Zylon was found to lose strength well before its manufacturer’s reported five-year lifespan and was banned from use in body armor; Toyobo later acknowledged that Zylon could lose up to 20 percent of its strength in two years. 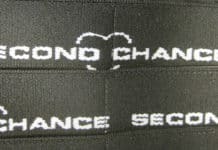 The NIJ’s findings were too late; following a Chapter 11 bankruptcy, Second Chance Body Armor had been sold through a Chapter 7 bankruptcy – one month earlier. The purchaser? Armor Holdings (NYSE: AH). The Jacksonville, Fla.,-based manufacturer purchased the majority of Second Chance’s assets, including its brand name, and moved into the Central Lake facility. In 2007 BAE Systems, a U.K.-based global defense company, bought out Armor Holdings. In December 2009, BAE Systems consolidated the Second Chance company with another body armor company in Florida and pulled out of Central Lake, leaving the Second Chance facility vacant and more than 150 unemployed. 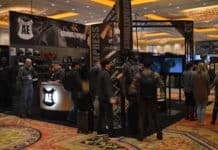 Armor Express, which boasts contracts with the U.S. Marines, the Federal Bureau of Prisons, and police departments around the nation, will move its 100 employees – many of whom were a part of the original Second Chance body armor company – will move into the old facility this April. On Wednesday, Armor Express’ executives will go before the Central Lake Township Board to gain approval for a Community Development Block Grant, which will enable the company to hire 100 more people and invest $1 million in capital equipment over the next two years. Bouyed by last year’s 41-percent surge in growth and the promise of repeat customers (vests purchased by Armor Express’ first customers are reaching the end of their five-year warranty now) Kiessel is optimistic that Armor Express’ future in Central Lake – and the former Second Chance plant – is bright.